A new version of the Windows 8 operating system could shut out browsers such as Firefox and Chrome, according to Mozilla. Microsoft has been saying all along that x86 apps wouldn't run on Windows on ARM and it explicitly said there would be no third-party code on Windows RT when it announced the details of the platform back in February. That's no plugins for IE on the Windows RT desktop as well as no desktop Firefox and Chrome. According to Mozilla, the makers of Firefox, Microsoft is planning to allow only one fully-functioning browser on Windows RT: Microsoft's own Internet Explorer. Writing on the Mozilla blog, Harvey Anderson, general counsel for the company, lashed out at Microsoft for the slight, and called the alleged move "an unwelcome return to the digital dark ages where users and developers didn’t have browser choices." Why is Mozilla focused on Microsoft? Anderson's answer: Microsoft is a different beast. "The difference here is that Microsoft is using its Windows monopoly power in the OS market to exclude competition in the browser market," Anderson said, possibly referring to Microsoft's dominance of the entire operating system space, not only mobile. 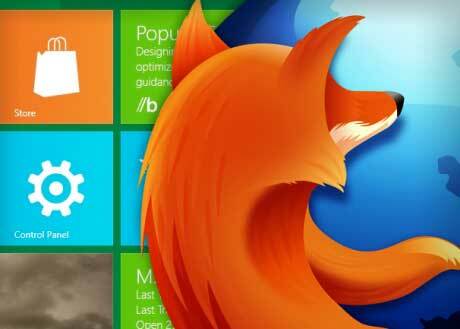 The fully featured version of Firefox will be allowed to run on Intel-based Windows 8 tablets. It's only Windows RT where there will be a problem. Microsoft also declined to comment on Mozilla's accusations.